Learn how to use workflow statuses in your project to help you keep track of content as it's being worked on. This article will explain what a workflow is, how to customise it and how they help keep your project on track. Each item has a workflow status. This allows you to keep track of where that item is in the production and review process. Move your items through the workflow as each status is completed. Your workflow is unique to each project, and is fully customisable. 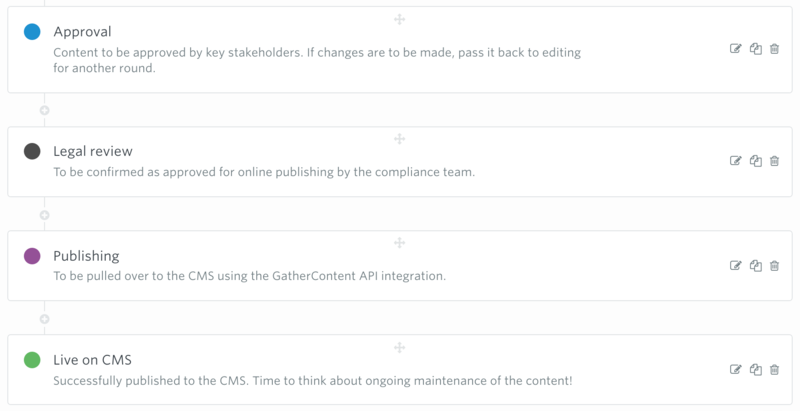 From the workflow tab, you can edit the workflow to match the steps that your content goes through to get published. You can set due dates for each workflow status to help meet your project's milestones. It also lets your team know what they need to do and when. You can see an overview of where a project is at from the project dashboard, or from the Overview tab within a project. 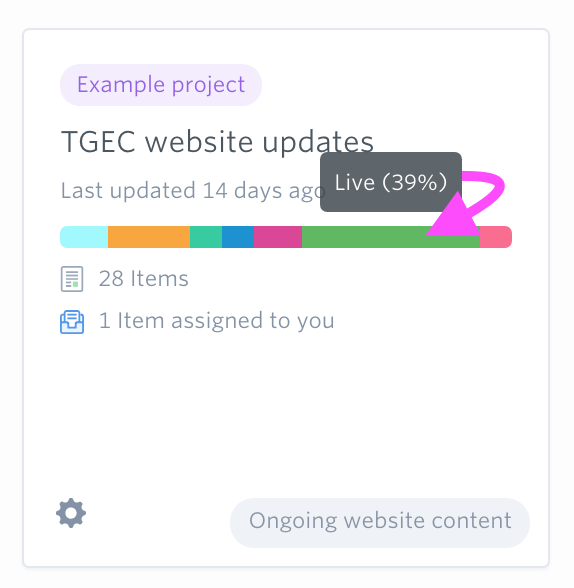 This shows you what percentage of items are at each workflow status in the project. You can also see in the project Overview tab a list of all the items that you're assigned to, and a feed of recent project activity.